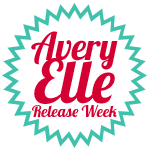 Welcome to the start of Avery Elle August Release Week! This month Avery Elle is releasing FOUR new sets as well as FOUR new colors of card stock and ribbon! Today's set is called Ikat and it's unlike anything you've seen out in stamp land! If you're a fan of textile design or interior design, you're familiar with this fun trend! To get a more modern look from the same stamp, I randomly stamped only one of the images using a half stamp technique. To get this look, just ink up the image, stamp off half the image onto something raised (I used a pad of paper), and then stamp the whole image. The result is a cool two-tone look! Super easy! That's it for me! Don't forget to visit the Jamie, Heather, Kasia, and Chunyuan! I can't wait to see the lovelies they have to share! Check them out! Just like last month, Jamie is offering the chance to win a $25 store credit! All the details are on the Avery Elle blog so click over! 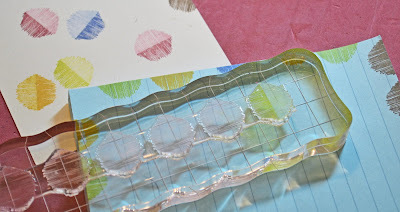 The stamping technique is so AWESOME JJ! I really enjoy the patterns on both cards! Whoa!!! Great cards!! I love the two tone one!! 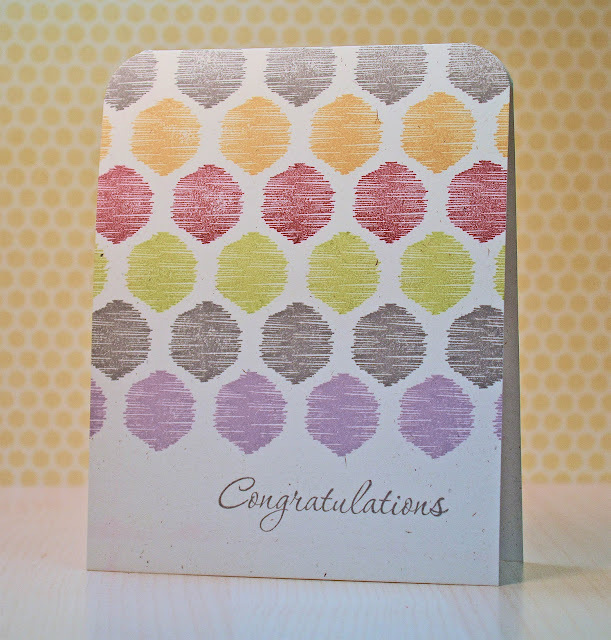 And i like this different take on the hexagon!! SUCH great cards, but that second one is my favorite! Great technique and I just love the look! Wow, I love the "softness" of these hexagons. This is a completely different look from the hexagons with the sharp corners that I am used to seeing. I like the distressed look too. Your cards are lovely, JJ. Thanks for the tip to stamp off half of the hexagon (Yes, of course, I would NOT have thought of it on my own). Hi JJ!!! Beautiful colorful cards - love the two tone look of the hexagons how one side is darker/heavier, while the other is lighter! Clever stamps for a clever girl! Hugs! OH so cool...both of them!!! Very nice!! Can't wait to see the sentiment set. awesome rainbow color ikat. 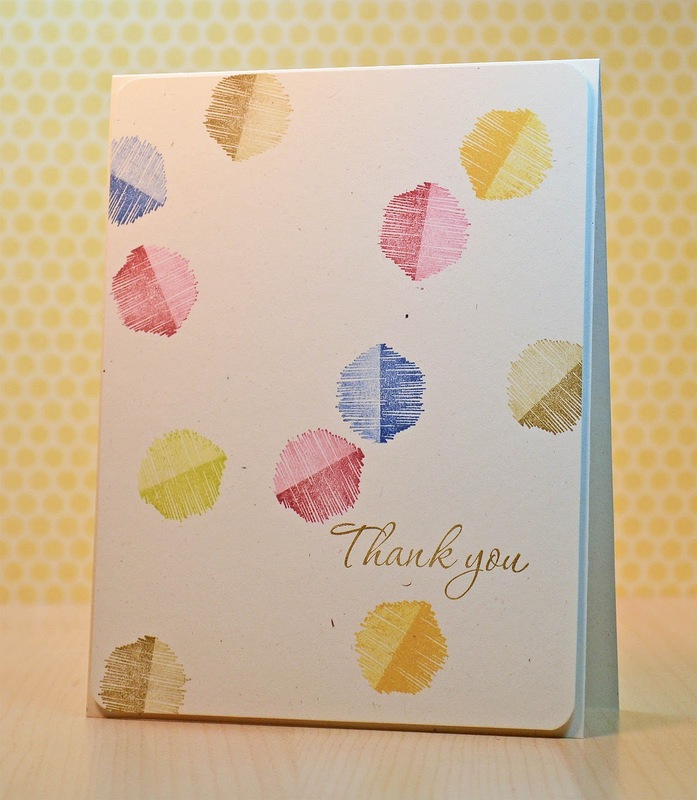 Love the light and dark two tone stamping on the second card. So pretty! The multi colours really make the designs pop. Wowzers, are these ever amazing samples, I really like your innovative thinking on the second one!